I'm delighted that some of my ideas were selected to help shape the theme of the 2008 Career Directors International Conference in Seattle. I'm reading a book on business-to-business sales called "Why Leave $100,000 On the Table?" by Mark Bonkiewicz. The author lives in Omaha (where I live), and I came across the book a few weeks back on my bookshelf and decided to read it. "This valuable sales tool allows a consultant to deliver a complete company story to any prospect at any time. Photographs will paint the picture clearly. Testimonial letters will prove that customers from a multiplicity of industries were satisfied with my abilities and the performance of my teammates. Performance evaluations on specific projects will display customer answers on all types of criteria." It brought me back to a presentation by Phyllis Shabad in October 1999 at the NRWA Conference on the subject of career portfolios. This was one of the earliest -- and I still think, the best -- workshops on this topic I've heard. Phyllis asserted that you can "control 50% of questions in an interview with a portfolio," adding that it "opens the chemistry of the interviews." She called it the client's "secret marketing tool." She recommended including no more than 25-30 pages of documentation, beginning with the resume and comprised of five sections, linked thematically. It can include things like "Accomplishments," "Projects" "Relationships" "Credentials" and "Media." She has clients collect items they feel good about, and put them in a storage box. Then, she and the client brainstorm to come up with categories to organize the materials. It's amazing to me that this was an idea I first learned more about more than eight years ago -- and I still don't think clients (or resume writers) use these to their full advantage. And it's too bad, because I'm guessing we're leaving more than $100,000 on the table. "I've done everything I can think of to get clients," a desperate self-employed professional writes. "I printed a brochure, I have a web site, and I've placed ads. But no one is hiring me. What am I doing wrong?" This unhappy business owner has made a common mistake. He seems to believe that investing money in placing ads and creating marketing materials will somehow produce clients without the direct involvement of the business owner. Perhaps professionals who make this mistake are trying to follow a big business model. They hide behind a company name, expensive marketing literature, and a web site. They spend hundreds or thousands of dollars on ads, directory listings, and trade show booths. Far too many self-employed professionals don't even disclose their own name in their marketing. But people don't buy professional and personal services from an anonymous company; they buy them from individual people they have learned to know, like, and trust. The more personal -- or the more expensive -- the service you offer is, the more likely this is to be true. If you are a career counselor, life coach, or massage therapist, you are asking people to trust you with the most personal areas of their lives. If you are a web designer, IT consultant, or corporate trainer, you are asking your clients to trust you enough to spend thousands of dollars with you. You don't earn people's trust by sending them a brochure. The main difference between these two lists is that the first list requires you to talk to people. On the second list are anonymous activities that allow you to hide out and never meet the people you are in business to serve. If you want people to become your clients, they need to get to know you, learn to like you, and believe they can trust you. And for that, they really do need to meet you. It is understandable why so many business owners gravitate to the least effective marketing tactics -- they are so much easier! To buy an ad, all you have to do is put up the money. To send a letter, all you need is an address and a stamp. It's much more challenging to go out and meet strangers, or to call people on the phone and ask for their business. But the reality is that this is what it takes. Even if you have the world's best web site, it's a rare client who finds their way to it, reads it, and decides then and there to work with you. The same is true for a brochure. Both of these marketing tools are simply that -- tools. Just like a pair of pliers, they need a person holding them in order for them to work. What clients want is to get a sense of who you are as a person. They want to see your face or hear your voice, to get to know you over time. If you don't have enough confidence in your business to speak to people in person about it, how will they ever have enough confidence in you to hire you? What you'll discover if you begin to meet clients in person, talk to them on the phone, and ask directly for their business, is that it gets easier the more you do it. It will build your confidence in yourself -- and the confidence your prospective clients have in you -- at the same time. If you're in the business of serving people, your best marketing tool is your own voice. So put it to work and start talking to them. I came across this neat, unique resource: A "Visual Thesaurus." Designed for people who "think visually," it creates a visual "picture" of words to help you find the one you're looking for. You can try it for free -- but then you have to subscribe ($2.95/month or $19.95/year). Be completely present for whatever you are doing. This is called "mindfulness" and it involves focusing on the task at hand. Include something you consider beautiful in your life on a daily basis, for example, fresh flowers. As often as possible, participate in activities you enjoy. Take a break after meals to relax. Go outside once a day and enjoy the simple things in life. Take notice of the tension in your body during the day. Breathe deeply and gently stretch any area that feels tense. When you catch your mind racing and worrying, breathe deeply and gently shift your focus to something in the moment. Don't hold your feelings in day after day. Find a safe place where you can express and embrace them. Kennedy Information is holding its "Recruiting 2008 Conference and Expo" from May 13-16, 2008 in Las Vegas. The conference theme is "Real World Recruiting for Today's Workforce." Featured speakers include Gerry Crispin, "Chief Navigator" for CareerXRoads, and Peter Weddle, CEO & Publisher of Weddle's. I'm working on a mentoring group for new resume writers (those with fewer than 18 months in business -- if you're interested in joining, contact me). One of the common refrains is how difficult it is to get started -- or, once started, to make a decent income. ** Your business skills. There is a fairly significant ramp-up period before you'll begin to generate steady income, so your ability to control expenses while increasing your profile (i.e., advertising investment) is critical. Cash flow will be the key in the first six months. ** Your marketing and sales abilities. Simply put: If you're not comfortable selling yourself, this is not the business for you. At least initially, you ARE your business. You are asking strangers to tell you everything about themselves. You're asking them (in many cases) to disclose their income. If you can't build credibility with prospects, you won't have customers. If you can't build relationships with prospective referral sources, you'll struggle ... because frankly, early on you'll get most of your clients from personal relationships or referrals, not from your website or any advertising you do. ** Persistence. Every business owner on here will tell you that they ran into roadblocks as they worked to launch their careers industry business. It could be technical things -- computer or software issues, an equipment malfunction -- or cash flow problems (investing in your startup with no promise of immediate revenues) or even overcoming your own hesitations about running your own business (that one usually comes with the filing of your first tax return -- or paying your first estimated tax payment -- if you've never been self-employed before). Another source for reaching recruiters is "The Best Directory of Recruiters" offered by The Original Resume company. Version 6.0 offers contact information for up to 250 elite recruiters for just $99 (Word, Excel, or Access database format). Editor's Note: When you're selling a $300-$1000 service over the phone, you can't expect people to make a decision right away (at least not always!) Be sure to collect contact information from prospects and develop a follow-up strategy to convert some of these prospects into clients in the longer term. Recently, a colleague was wondering about a pre-employment assessment her client took for a job at Mutual of Omaha. Seeing as how Mutual of Omaha is headquartered here in my hometown (Omaha) and I've had numerous clients and friends who have worked for them, I have a pretty good idea about which assessment her client took. She was concerned because her client was told he didn't do well on the assessment, but on the strength of his network, he was able to get an interview. "The only way to understand and replicate top performance is to study top performance. Top performers in all jobs think, talk, and act differently than average and poor performers. Understanding the talents that contribute to outstanding performance is key to developing an effective talent acquisition strategy. Our consultants identify the talents that contribute to success, then work with organizational leaders to develop and refine a strategy and the supporting processes and systems that help organizations find more employees like their very best." Marcus Buckingham, a former Gallup Sr. Researcher, has written three books about this process: "First, Break All the Rules" (1999), "Now Discover Your Strengths" (2001), and "The One Thing You Need to Know" (2005). According to Marcus Buckingham (who spent years interviewing thousands of employees at every career stage and who is widely considered one of the world's leading authorities on employee productivity and the practices of leading and managing), companies that focus on cultivating employees’ strengths rather than simply improving their weaknesses stand to dramatically increase efficiency while allowing for maximum personal growth and success. If such a theory sounds revolutionary, that's because it is. Marcus Buckingham calls it the "strengths revolution." Because of the Gallup presence in Omaha, many of our big corporations headquartered here (ConAgra Foods, Mutual of Omaha, etc.) use Gallup's assessments. Usually, if you don't score well on a Gallup pre-employment assessment (conducted by phone or online), that's the end of it. They tell you, "Thanks, and good-bye." So the fact that his resume writer's client got an interview *anyway* is very unusual ... and is a testament to the resume she wrote, and his network. He'll have to have a great interview to overcome the negative assessment, because the companies that use them rely on them heavily to determine "fit." I can't recommend any specific "workarounds" for when the negative assessment results comes up in the interview (as I said, 100% of my clients haven't gotten the interview if they didn't match up in the assessment with the pre-identified criteria). If he has time before the interview, maybe he could read, "First, Break All the Rules." Then he could ask about the specific areas where he didn't fit their criteria, and he'd know more about what kind of "fit" that was lacking between the testing and his answers. I'm thinking about hosting a contest for the "Best Career Blog" in 2008. In surfing around the web, I've found a number that I think would be excellent candidates. I'm looking specifically at blogs written by professional resume writers and career coaches, for clients. Do you have a blog to nominate? E-mail me at RWDigest@aol.com. According to a new poll from The Gallup Organization, respondents say now is a difficult time to find a quality job. A Gallup Poll conducted Jan. 4-6, 2008, found 6 in 10 Americans saying now is a "bad time to find a quality job." This is up 13 percentage points from January 2007 and is the highest percentage since early December 2005, when 60% of Americans also held this view of the job market. Even so, it is well below the 81% who said it was a bad time to find a good job back in March and August 2003, during the buildup to and early stages of the war in Iraq. Results are based on telephone interviews with 1,023 national adults, aged 18 and older, conducted Jan. 4-6, 2008. For results based on the total sample of national adults, one can say with 95% confidence that the margin of sampling error is ±3 percentage points. Attend the 2008 Career Directors International Conference in Seattle Oct. 15-18, and receive a 360º Reach™ Assessment Certification for free ($377 value). The 360º Reach Assessment Certification Program certifies you to use the 360º Reach Personal Brand Assessment System. It provides you with the training and support you need to perform the detailed analysis of 360º Reach feedback. You will also learn how to coach clients to use this information. Before attending the CDI conference, registrants will access and use the 360ª Reach™ assessment and access online training for the preliminary assessment training. Then, at the conference, participants will receive the last training module via a live presentation from Susan Guarneri, MS, NCC, CERW, CCMC... aka the "Career Assessment Goddess." Super Early Bird registration ends May 1, and the conference is only open to the first 100 registrants. For more information, contact Career Directors International. New Rules for Defining a "Job Applicant"? Thanks to Irene Marshall of Tools for Transition, for finding this article from 2006 that outlined new rules for defining job applicants. While I had heard some rumblings of the implications of this change back in 2006, the reality of the situation is that the changes have not had the impact on job seekers -- or careers professionals -- that might have been expected because of its limited scope so far. Currently, it only applies to companies with a federal contract. You can find more information about it in this article from the Electronic Recruiting Exchange (ERE). So, it's Yellow Pages time at Image Building Communications. Well, technically, the deadline was last Friday, but my Yellow Pages rep and I have been in contact for about the past month. The "Resume Services" category in our local Yellow Pages (Dex) has changed quite a bit over the past few years, and even after I made an initial decision, I reconsidered. Over the years, I've had a variety of ads -- ranging from simple "name and phone number" listings to in-column ads upwards of 2 inches in size. The 2007 edition lists a handful of local service providers, and all the ads -- in-column and display, are gone. I still believe in the value of the Yellow Pages -- I get a couple of calls each week from prospective clients who've found me this way, and I'm ready to reclaim the book by going back to an in-column ad. But to help with the prequalification process, I'm taking two steps. I'm emphasizing a free critique (I already have a script I use to respond to these, which includes feedback, "how we work" process information, pricing details, and a few fictionalized samples) over a phone call, because I usually ask them to send me their existing resume anyway. I'm also beefing up my website, including some general pricing information, to deter the "I want a resume for $50" folks. By driving more people online, I hope to capture more e-mail addresses, and use this to create a better dialogue with prospects, either to convert them down the line, or sell them resume distribution services, even if I don't write their resume. What are your thoughts? What are you doing with your Yellow Pages advertising, and why? Watch Those Domain Name Expirations! Your business brand extends to your online identity. But did you know you could lose your identity (call it "identity theft") if you're not careful? Imaging you spend a couple of years cultivating your online business. You create a keyword-rich website and use Search Engine Marketing to drive a significant amount of traffic to the site. Then, one day your domain name expires (you even forgot it was up for renewal!) and someone swoops in and takes it. Perhaps they turn it into a link farm, or maybe they just use it to promote their own business. It can happen to you. When you register your domain name, keep a close eye on when it's due to renew. Even better, choose a service that offers "Safe" renewal (automatic). If you choose to close your business, consider selling your domain name. Even if you only get $100 for it, you'll be able to choose the reputation of the person who is using it. Or consider signing up for an affiliate service and earning straight commissions for referrals from your old domain. I got the idea for this post from Anne Follis. I was updating my database and came across Anne's old site, which is now owned by Tracy Parish. Anne has a new site, CareerHappy.com. She had let her old domain name expire, and Tracy wisely snatched it up. It's all perfectly legal ...but if your online brand is important to you, make sure you secure it by monitoring your domain renewal. And register the names of sites that are similar to yours and redirect them to your main site. No, this post isn't about being bilingual. It's about accent marks, and why not to use them on your website. What's the difference between "resumes" and "résumés" online? Lots. You'll notice that I don't use accent marks on this blog. That's because when you use the accent marks online, they can be converted into characters. I'm going to pick on Dawn Bugni a little bit. 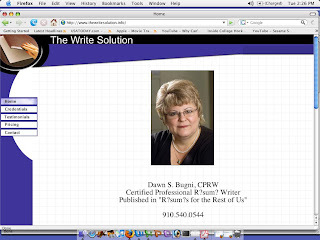 That's Dawn's website, The Write Solution. You might notice something interesting on this page -- The "e" with the accent marks have been replaced with question marks. That's the danger in using the accented "e" letters online. Even worse than how it looks is that it won't be indexed by the search engines. Most people searching for a resume service won't use the accent marks -- and if you use the accent marks (even if they come through correctly), your site won't be ranked as highly as a site that doesn't use the accent marks. Here's the third installment in our series. For part 2, click here. 11. Tap into the college market. Send a letter of introduction to college career planning departments in your area. While many offer assistance in finding jobs for new graduates, most don't help grads write resumes. They are even more likely to refer alumni to you, as they are often stretched thin by simply serving currently enrolled students. Send along brochures and business cards. Be sure to mention you are an alum of the institution (if you are). 12. Write articles that target the needs of executives and submit them to your local business journal. Research a trend or statistic relevant to employment for executives and quote yourself as an expert. 13. Generate publicity in general-interest publications as well by writing a short article featuring a hot topic or trend. 15. Improve your client acquisition rate from cold calls. Develop a script to answer common questions and make your pitch for the sale. You'll feel more relaxed if you can focus on the person you are talking to .... and not wondering what information you need to know from the client. 2. What/who influenced you the most to become a teacher? Why did you choose education as your career? 3. How have your past experiences prepared you for teaching? 4. Why do you want to teach? 5. What do you enjoy most about working with young people? 6. What do you enjoy least about working with young people? 7. Tell me about your student teaching/internship experience(s). What kind of problems did you have and how did you resolve them? 8. What classroom management techniques did you use? How effective have they been for you? 9. How do you handle discipline problems? What is the most difficult aspect of discipline for you? 10. How would you handle a student who is a consistent behavioral problem? 11. How do you keep students on task? 12. How would you handle a student who refuses to work in your class or do what you ask? 13. A student is consistently late for class. How would you handle this situation? 14. Some students always finish their assignments early. How would you deal with the free time that they have? 15. What do you feel are the most important things students learn in your classroom? 16. Describe an ideal classroom. 17. Describe a teaching strategy you used to maximize the learning potential of all students. 18. Describe how you conduct a lesson. Describe the components of an effective lesson plan. 19. Do you believe in detailed lesson plans? How do you use lesson plans? 20. Define cooperative learning and give an example of how you have used it. 21. What curriculum materials have you developed? 22. How do you individualize your teaching? 23. Would you rather teach the slow learner or the advanced learner? Why? 24. How do you teach to low achievers? 25. How would you work with a mainstreamed learning disabled student? 26. How do you handle the different ability levels of students? How do you help a student who is having difficulty? 27. How do you work with students who perform below grade level? 28. How do you personally feel students learn? 29. How do you motivate students? What are several effective ways to motivate students toward active participation in the learning process? 30. How do you reinforce major ideas or concepts that you want students to learn? 31. How do you provide feedback to students about how they are doing? 32. How will you determine if students are learning? What evaluation techniques do you use? 33. How have/would you use paid/volunteer aides in your classroom? 34. How do you involve parents in the learning process? 35. What is your philosophy of teaching? 36. What attributes are common to good teaching? 37. What are the three most important strengths you possess that will make you a successful teacher? 38. Give me one or two examples of things that you discovered about yourself while student teaching that you would like to improve. 39. What kind of relationship do you have with your students? 40. How do you think your students would describe you? 41. What kind of learning environment do you try to create? 42. How do you reinforce self-esteem in students? 43. Describe your ability to listen and be responsive. Can you give me an example? 44. Are you the kind of person children and adults confide in? 45. How do you make students feel at ease around you, while still respecting you? 46. How do you show your students that you understand them and their frustrations? 47. Through your teaching, do you think students can be changed? 48. Is it appropriate to tell your class that you are angry with them? 49. What do you expect from your supervisor? What qualities would you like to have in your principal? 50. What issues in education are of greatest concern to you? Why? 51. What is the toughest aspect of teaching today? What are some of the greatest challenges of being an educator? 52. What is the most exciting initiative happening in your area of education today? 53. What books/journal articles have you read in the last six months/year? 54. Do you plan to continue your education/seek an advanced degree? 55. What do you want to accomplish in your profession? 56. Why should this district hire you? 57. What things about yourself would you like to bring out that have not been brought out in the interview? 58. What questions do you have that I may be able to answer? 2. Describe the ways in which your mentor teacher used technology in his/her teaching. in the classroom inhibited/enhanced your ability to integrate technology? 4. Did your mentor teacher provide a good model for the integration of technology? The 2002 AAEE Job Search Handbook lists these INTERVIEW QUESTIONS every teacher candidate should be ready to answer. The interview is the single most important factor in the hiring process. To be competitive, it is important that you are prepared to respond to potential employers' questions and discussion topics. Take the time to think about your answers to these questions that may be part of your next interview. Where possible, use concrete examples from your educational and work experiences. 2. What is your philosophy of education? 3. If students are having difficulty learning a skill or concept, what do you do? 4. Describe your style of teaching. 5. How would you become involved in school/community activities? 6. What do you plan to be doing in 5 years? What are your career goals? 7. Describe your student teaching experiences. 8. What was your biggest problem in student teaching? How did you resolve it? 9. What three words would your students use to describe you as a teacher? 10. How do you individualize your teaching? 11. What techniques would you use to keep students actively involved and motivated during a lesson? 12. What are the rules of your classroom? How are they established? 13. What are the qualities of an excellent teacher? Which of these do you have? 14. Some of your students always finish assignments early. How do you deal with the free time that they have? 15. How would you work with students who perform below grade level, especially those from disadvantaged socio-economic backgrounds? 16. What coursework have you taken that you feel has made you an especially competent teacher? 17. How would you use teacher aides and parent volunteers in your classroom? 18. Why/not are parent-teacher conferences important? 19. Why do you want to work in our district? 20. What materials have you used that you find most effective for slow learners? For quick learners? 21. Why should our district hire you? 22. Describe an ideal classroom. 23. Describe the types of quizzes and tests that you give. In a grading period, what types of evaluations comprise your grade report? 24. A student is consistently late to your class. How do handle that? 25. What would you do about a student who refused to do the work you assigned? 26. How would you handle a student who continually "acted up" in your class? 27. How do you engage a parent in the education of her/his child? 28. How should a student's educational achievement and progress be measured? 29. What do you expect from your supervisor? 30. Explain your use of technology in the classroom. 1. Describe your past teaching experiences. What made them successful? 2. What are your strengths? Weaknesses? 3. How would others describe you? How would you describe yourself? 5. How have you challenged students in the classroom? 6. Describe teaching strategies you have used for students including gifted students, second-language students, reluctant learners, and special needs students. 7. How do you incorporate your teaching philosophy into your daily instruction? 8. What experiences have you had with volunteers in your classroom? 9. Describe an effective teacher. 10. Define collaboration and give examples from personal experiences. 11. What are your plans for self-growth and how will you achieve them? 12. How have you individualized instruction for your students? 13. Tell me about the type of learning environment you create. 14. Identify the characteristics of an outstanding principal. 15. Tell me about yourself. 16. What strategies have you used in working with parents? 17. What technology do you need in your classroom to promote a good learning environment? What specific technology skills do you possess? 18. What are some of the strategies you have used in managing your classroom? 19. Describe how you develop lesson/unit plans for your subject area. 20. Identify ways in which you have motivated students. 21. In what ways have you incorporated critical thinking skills into your instruction? 22. How have you implemented multicultural/gender-free practices in your teaching? 23. What assessment and evaluation strategies do you use for student learning and for your own personal and professional performance? 24. Visualize an ideal classroom. What does it look like? Who's in it? What resources are you using? What are your goals? Accomplishments? 25. What motivated you to enter the teaching profession? * Why did you decide to become a teacher? * When did you decide to become a teacher? * Are children born with the ability to learn, or is that provided by you, the teacher? * What was your best lesson? * What was your worst lesson? * Tell me an adjective to describe yourself. * What was the last educational article you read? * How would you handle working with someone you do not get along with? * What are the duties of your assistant? How would you use an assistant in your classroom? * What is your weakness? * What is your strength? * How have you used technology in your classroom? * How do you handle discipline in your classroom? * Do you contact parents? How often? * Would you send a child to the principal's office? * How have you used parents in your classroom? * How do you include parents in their child's education? * What have you done to improve your school? * What have you done to improve your classroom? * How do you teach a classroom of children with differing intellectual abilities? * How do you teach reading? * What is your favorite subject to teach? * What is your least favorite subject to teach? * How do you help those who are below level? * How do you help those who are above level? * Tell me about your past teaching experiences. * Describe your personal and educational background. * Why did you choose to enter the teaching profession? * Describe positive/negative student teaching experiences. * What techniques or model do you utilize to ensure good classroom management? * Describe a typical lesson in your classroom. What would I see you and your students doing? * What questions do you ask yourself when planning lessons or units? * What do you look for to evaluate that learning is taking place in your classroom? * How do you handle different ability levels of students in your classroom? * What principles do you use to motivate students? * What are some of the most successful strategies or techniques that have worked for you in the classroom? * What steps would you take to handle a student who is a consistent behavioral problem in your classroom? * How will you interact with parents of the students you teach? * What is the most difficult aspect of teaching today? * What qualities make a "superior" teacher? * Three words to describe yourself. How would students, colleagues, friends, etc. describe you? * In what areas would the district need to provide support for you in order to help you become an excellent teacher? * Goals 5 years from now? * Changes to educational system? * What is your philosophy of education? * With what kind of student do you least/most like to work with? * Describe your teaching style. * Describe student teaching experience(s). * How do you individualize your teaching? * Write a letter home on the first day of school. What would you say in your "Back-to-School" letter? * Compose a weekly newsletter. What information would you include? Why? * How would you handle an attendance problem in your classroom? 2. How do you keep enforcing student involvement? 3. Do you incorporate technology into your instruction? What's been more effective/less effective? 4. What manipulatives do you use? How effective are they? 5. Do you teach in whole group settings or individual instruction? 6. How do you provide instruction for a cultural diverse classroom...what modifications are made? Some of the interviewers asked "situational" questions. For example, "You know that a colleague has been talking behind your back about what he or she sees as an ineffective teaching method. What would you do?" "A student is consistently late with assignments. How do you handle the situation?" 1. Which grades are responsible for what topics? 2. Who has the responsibility for a particular topic? 3. How does the administration work with teachers to improve instruction? 4. What types of media resources are available? 5. What textbooks do you use in this subject area? 6. What professional skills do you expect of the person you hire? 7. Does the staff spend time together outside of normal school hours? 8. How active are teachers in working with community organizations? 9. Tell me about the students who attend this school. 10. How involved are parents in school activities? 11. What do parents expect of their teachers? 6. Teach a class. An even better way to increase your credibility with prospects is to teach a class sponsored by another group or organization. Contact your local community college, for example. You will have to provide specific, detailed, useful information (you were anyway, right?!?!)... and no hard sell for your services. 7. Write a great ad for the phone book. Focus on the specific benefits you have to offer. Quick turnaround? Help writing the resume? Cover letters? Online posting? Evening/weekend hours? Convenient payment options (Mastercard/Visa)? Targeted service areas (executives, post-military)? 8. Contact local employers. They may be interested in hiring you to write resumes for laid-off employees. 10. Solicit referrals from happy, satisfied customers. Ask for referrals. Give out business cards stamped on the back with a special offer ($5 off, or a free cover letter, or a free references page). Offer a bonus for the referring person ($5 off their next service with you). Myriam Rose-Kohn was quoted last year in a CareerJournal article on the difference between resumes and DVs. It's an excellent article. Myriam is a fabulous resource, and the "go-to" person for international career search documents. Have you ever found yourself knowing exactly what you need to do about marketing your business... and then not doing it? You are not alone. Many self-employed professionals find that the hardest part of marketing isn't figuring out what to do. What's hard is actually doing it. Marketing yourself can be a confronting process. Making phone calls to strangers, writing marketing letters, and talking about yourself and your accomplishments can bring up fear of rejection, harsh commentary from your inner critic, feelings of incompetence, and the discomfort of performing unfamiliar activities. If you let them, these inner saboteurs can stop you dead in your tracks. The good news is that you don't have to completely eliminate these internal roadblocks in order to move forward in marketing. It is possible to feel afraid or uncomfortable and still take useful action despite the presence of these feelings. Here are ten ways to quickly break through internal barriers and get your marketing unstuck. 1. Recreate your vision. When you're feeling blocked from moving forward, remember why you wanted to go there in the first place. What was your original vision of the business you are trying to build? Who will your work benefit? What fulfillment or satisfaction will it provide you? Write down your vision of a successful business, or if you've written it down before, pull it out and re-read it. Allow your own words to re-inspire you to do the necessary hard work. 2. Design a reward. Sometimes your vision may seem a bit too far off, and you need some more immediate gratification. Choosing to reward yourself for a job well done can provide you with a positive near-term benefit for effort that might not pay off for a while. Promise yourself simple rewards for completing difficult marketing chores like making follow-up calls or writing web site copy. The prospect of a special dinner, a movie with your significant other, or a new gadget for your favorite hobby can help you to push past the blocks and get things done. Rewards don't even have to cost money. Sometimes the promise of a bubble bath, walk in the park, or an hour reading a good book is all the incentive you need to take on a tough marketing challenge. 3. Tame the inner critic. Often when you're feeling stuck, what's going on in your head is a conversation with your inner critic, who seems to have a lot to say about sales and marketing. It's difficult to work on promoting yourself when you are hearing a constant stream of comments like: "You're not good enough," "They won't like you," or "Who do you think you are?" It can help to remember that the inner critic often says things that simply aren't true. One way to counter this negative dialogue is to respond with the objective truth. For example: "Clients tell me I'm good at what I do," "Many people say they like me quite a bit," or "I'm a competent professional, thank you very much." When you answer confidently with statements of fact, messages from the inner critic often begin to lose their power. 4. Face your fear. One of the most common obstacles to being successful at marketing is fear. Marketing activities may evoke fears of rejection, disapproval, embarrassment, and a host of other catastrophes. Instead of pretending the fear isn't there, or attempting to ignore it, you may find it more effective to confront the fear directly. Try to identify exactly what you are afraid of. What do you fear will happen if you make that call or go to that meeting? If you can identify the specific fear that is blocking you, it may be possible to soothe it by providing reassuring information or positive experience. For example, fear of rejection can often be lessened by setting up practice selling sessions where a role-playing partner responds with "yes" to every suggestion you make. 5. Get a pep talk. When you become discouraged, don't be afraid to ask for outside help to cheer up and start feeling positive again. Ask a friend, colleague, networking group member, or your coach to give you some words of encouragement. Sometimes all you need to hear is: "It was tough for me in the beginning too... Eventually my efforts paid off... You're doing all the right things... I know you can do it!" 6. Complain and clear. Feeling frustrated and negative can sometimes immobilize you. One method of clearing negative thoughts is to voice what you are experiencing to a caring person. Spend a full five minutes complaining about everything that's going wrong with your marketing, making sure to say exactly how it makes you feel. Then ask your listener to reflect your feelings back to you. Knowing that someone else hears and understands you may be all you need to let go of a negative attitude and get back to work. 7. Read your fan mail. In the regular course of serving your clients, you've probably received thank-you notes, grateful voice mail messages, and other evidence that you're doing a good job. Make a habit of saving these in a "fan mail" folder, and when you are feeling low, revisit all the nice things people have said about you. Remembering what a good job you do when you are working can encourage you to do the necessary marketing to get more work. 8. Quit; then start fresh. There may be days when you feel discouraged enough to just throw in the towel. Maybe you should do it. The act of quitting can be very cathartic. Proclaim: "I quit!" Perhaps even write yourself a resignation letter. Then take off the rest of the day, and don't even think about work. It's a good bet that after you have a chance to blow off some steam, you'll be ready to come back the following day re-energized. 9. Change the scene. Marketing can feel difficult and lonely when you're always slaving away by yourself in your home office. Try carrying out some of your challenging marketing tasks from a different location or with some company. Make cold calls from the patio, write a marketing letter in a busy coffee shop, or take turns with a colleague helping each other set up a good contact management system. Seeing a different view or enjoying companionship while you work may help you to complete tasks you have been avoiding. 10. Act as if. Whenever you feel incompetent about some area of marketing, you may be able to tackle those activities anyway if you simply try to act as if you were competent. Try playing the role of someone you admire. For example, what if you were Lauren Bacall? How would she make a follow-up call? Or how about if you were Martin Luther King? How would he introduce himself in front of a group? A short time pretending to be someone you think of as confident and capable can make those qualities rub off on you. The next time your marketing feels stuck, try one of these methods to help you get back into action quickly. Marketing tasks are really only as hard as you think they are, so if you can find an easy way out, why not take it? Attracting resume clients to your business requires action on your part. This series of blog posts will provide a mixture of tips -- some that are meant to be implemented in the short-term and some that can be developed over time. A few are designed to produce a one-time boost, while others are geared towards multiple exposures to targeted audiences. Any one tip, if implemented, can mean an extra $1,000 a month. 1. Write a news release for your local newspaper. As a resume writer, you are often in the position to spot emerging trends. News releases don't have to be long or flashy to be effective. But they do have to be newsworthy. With the unemployment rate at a 10-year low in Iowa, job searchers in the Des Moines area are "trading up" to better jobs, according to a local resume writer. "We are seeing many of our clients taking advantage of a competitive hiring environment by updating their resumes and sending them out to be considered for higher-paying jobs," says Donna Rose, a Certified Professional Resume Writer and owner of Rose's Resumes. "In many cases, they are increasing their take-home pay an average of 15 to 20 percent." For more information on this trend, contact Donna Rose at 555-4224. 2. Send thank you notes after your client receives their final materials. You can use generic thank you notes or create customized thank you cards featuring your business logo. Tuck two or three business cards into the notecard and write a short, personal message. 3. Produce a client newsletter. Write your own articles or purchase pre-written stories. Send it out quarterly (at a minimum) to clients, friends, family, referral sources, the media, employment agencies, career counselors, and real estate agents. 4. Call your competitors. Perhaps there is an area of specialty you work in that they don't (for example, military separation) ... and vice versa. Help your clients... and yourself... by referring to each other. 5. Host a workshop. Develop and promote a one- or two-hour workshop. Possible topics are the job search strategy, finding a better job, even writing a resume. You will be targeting qualified prospects. Charge $10-$50, depending on the value of the information you present. I like Don Goodman, but I have to disagree with some of his points in his article, "How to Choose a Resume Writing Service" on his website. ...Look for credentials beyond the CPRW designation. Do the people have impressive backgrounds? Many sites won’t tell you anything beyond their CPRW designation. Great writers have great accomplishments so look to see if they have been published in books and, most importantly, find out about their business background. Did they attend a good school – did they rise through the business ranks? Being in HR is good and being an executive is even better as they have been the decision makers behind the hiring process and have demonstrated the skills to excel. I know of numerous outstanding resume writers who are neither certified nor published in books. And I also know of several resume writers who "went to good schools" and "rose through the business ranks" but the resumes they write aren't nearly as good -- or effective -- as other writers who went to a state school and went into the field from a technical career or journalism. If you're looking for an objective measure of a good resume writer, certification can be good, but samples and the ability to draw information out of the client are more important than a fancy degree or the fact that you were once a Director of HR. Check out their resume writing process and make sure you get to speak to someone. A good resume cannot be written just from a questionnaire, and a good resume writing firm will insist on speaking to you. This way they can ask you insightful questions that highlight the skills and achievements that impress an employer. If they don’t interview you, this means that their writers are not strong enough to have an intelligent conversation with you. The best resume writing firms will use both a questionnaire and a phone interview. The questionnaire will jog your memory and make you think a bit about things that you haven’t thought about in a while. In fact, it not only helps you get a better resume, it helps you prepare for a job interview. High level executives would insist on a questionnaire and a phone interview and there is no reason that you shouldn’t be able to get the same VIP treatment. According to the preliminary data from the 2007 Resume Writers' Digest Industry Survey, more than 70% of resume writers use questionnaires -- many of them exclusively. In the early days of my business, I conducted the client interview in person. Since July 2004, I have exclusively used questionnaires (occasionally supplementing them with a phone call to collect 1-2 missing items). I don't think you can judge the quality of a resume writing service by how they choose to collect their information from the client. Now if you want to talk about preferences (how clients prefer to share information), that's something else entirely. Do they offer a guarantee? A good service will stand behind their work and offer to revise your resume for free if it is not working. You’ll want to choose a resume writing service that stands behind their product. Some resume writers offer a guarantee -- but most see it as a marketing tactic. Lots of great resume writers will provide top-quality work and ensure their client's total satisfaction, without touting a "guarantee." And most guarantees are that they will "rewrite it for free" -- if it's not any good the first time, will it really get better? And will the client "guarantee" that they will follow the resume writer's advice and not just post their resume on Monster.com and expect the job offers to roll in? Is there some seal of approval? Look for the BBB Online Reliability seal that shows they are a safe and reliable site. While the BBB Online Reliability seal is nice, the fact is that the Better Business Bureau exists not only to help customers achieve trust in the businesses that serve them, but also to make money. "Buying" BBB approval isn't a guarantee of a good resume writing service. There are plenty of great resume writing services that don't have this seal. Finally, Don and I absolutely agree on this point: "(The resume) is one of the most important documents in your career, so it makes sense to spend what it takes to get a resume that you know will work." Feel free to e-mail me to share your tips on "How to Choose a Resume Writing Service" for a consumer-oriented article I'm writing. Psychologist Abraham Maslow said, "If all you have is a hammer, everything looks like a nail." Perhaps we believe this is the only way we can sell because it's the only way we know. I'm not accusing anyone of consciously deceiving prospective clients. What I'm suggesting is that what we do unconsciously and automatically is to behave inauthentically around them. Now imagine placing a follow-up call to a prospect where you are completely honest. You could say, "I have some days open on my calendar soon and I'm wondering if this would be a good time for that project we've been discussing." Or, "We haven't talked in a while and I'd like to find out if you're still planning to look for a new job." Monster.com has weighed in with its analysis of top job prospects in 2008, and the answer is heavy into math. The 2008 Hiring Outlook says demand will be heavy for "creative workers who excel in the logical and mathematical." Congratulations to Abby Locke, of Premier Writing Solutions, for being featured in Kim Isaac's latest article, "New Beginnings For Your Cover Letter." Isaacs is Monster.com's Career Expert. Locke suggests using the introductory paragraph of the cover letter to suggest three ways your client would add value to an organization. "What core competencies would enable you to excel in the position you're targeting?" Locke asks. "How would the employer benefit from hiring you?" 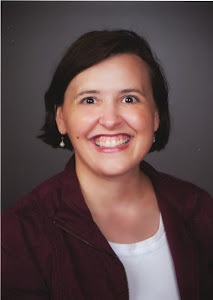 Locke is also the National Resume Writer's Association's new Certification Chair, having taken over for Sally McIntosh at the first of the year. Your Website: What Is It You Do Exactly? As a careers professional, you might offer other services besides resume writing. Many resume writers also offer career coaching, typing services,administrativ eassistance/desktop publishing, recruiting services, commercial/freelance writing,etc. But you might be driving clients away if your other areas of specialty are too diverse. I try not to point out specific examples of bad marketing, but this is a website that has several problems. The company, Charity Design Publications, offers desktop publishing, printing, transcription services, and resume writing. So far, so good (at least as far as the service offerings go). But they also offer web hosting (as a reseller) and the link to the "Online Store" is what drove me over the edge. Selling things "As Seen On TV" may be one way to increase your income from your website, but it's not going to attract you a lot of credible prospects to your resume writing service. "A first impression is everything when it comes to job hunting." Recently, as part of my research for an upcoming Resume Writers' Digest special report "Your First Year in Business," I had the opportunity to talk with resume writer and career coach Syndee Feuer, of Career Tactics, LLC in Jupiter, FL, serving the south Florida market primarily. Syndee spent 28 years in corporate America, working most recently as a Senior Global Training Director for Convergys, overseeing call centers around the world. When her position was eliminated, she decided to go into business for herself, and opened her business in October 2006, although she says she wasn't officially "launched" until June 2007;. Like most new resume writers, Syndee is finding attracting clients to be the most difficult part of the start-up. We talked about several marketing tools she is using, or has available to her. 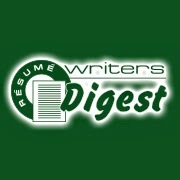 In particular, I was interested in Syndee's website, since this is an important marketing tool for new resume writers. RWD: How did you decide what you wanted your website to look like? Syndee: I had been to many websites that suffered from "information overload." The website has to catch your eye. I read a lot of different websites, and decided on a minimalist approach. I found a local web designer and gave her some content. She's not just a website designer; she also has an eye for marketing. RWD: What were some of her suggestions? Syndee: She suggested I use my picture on the website, since resume writing is very personal -- it's a very personal service. It took me six months before I did it. Initially, I had the four apples on the home page (see below); she suggested changing it around. She wanted the site to be visual and textual. RWD: How long did it take you to get the website completed? Syndee: It took about two months -- much longer than I anticipated -- to get it up and running. And, of course, I continue to work on it. RWD: Do you use paid search? Syndee: No, I work to keep my site active in natural search. If you type in "Resume Writing South Florida," (without the quote marks) on Google, my site is in the top five natural responses. You'll be able to read more about Syndee's marketing tactics in the "Your First Year in Business" special report. 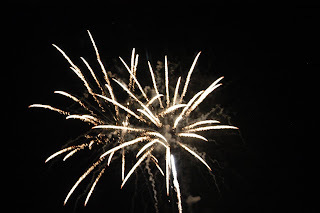 I hope this year is the fulfillment of everything you've been dreaming of achieving. Be sure to write down your goals -- and we'll check back in on Dec. 31, 2008 and see how we all did.